BT has been fined a record £42m by Ofcom for its failure to install high-speed lines, with the company setting aside £300m to repay other telecoms brands for delays plaguing its Openreach network. The regulator said the penalty was its largest ever handed down, after finding that BT’s Openreach division had cut compensation payments to other telecoms and broadband providers for delays in installing lines between early 2013 and late 2014. Following the outcome of the Ofcom investigation, which found that BT had broken rules and exploited its "significant market power" by cutting payments, Openreach said it "apologised wholeheartedly". BT chief executive Gavin Patterson admitted that the investigation "revealed we fell short of the high standards", adding that the company had "put in place measures, controls and people to prevent it happening again". Gaucho Rasmussen, Ofcom's investigations director, said: "These high-speed lines are a vital part of this country's digital backbone. "We found BT broke our rules by failing to pay other telecoms companies proper compensation when these services were not provided on time. "The size of our fine reflects how important these rules are to protect competition and, ultimately, consumers and businesses." Openreach provides the wires and cables that carry the UK’s broadband and telephone network. 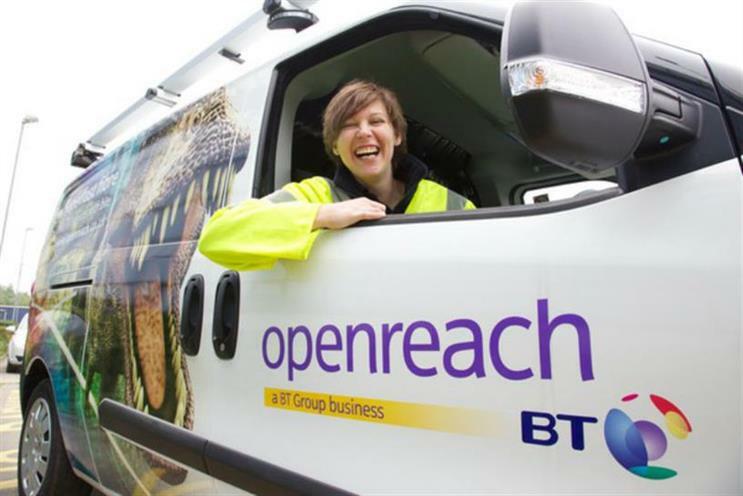 Earlier this month, BT agreed to Ofcom’s demands that it legally separate Openreach from its main business.